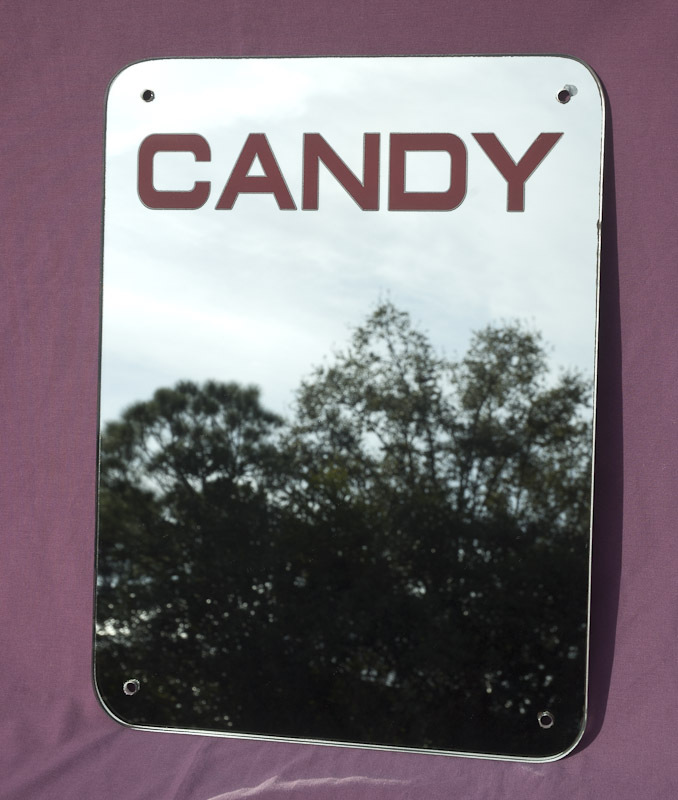 Our meticulous attention to detail results in a quality Reproduction Rowe Candy Vendor Mirror. Approx. 13 3/4" wide by 18 3/4" tall and 1/4" thick with radius cuts on all four corners and four 1/4" mounting holes. The lettering is just like the original with etched Silver/Gray border around Red letters. Also available upon request is the same mirror for the Rare Rowe Pastry Vendor!